Home construction is one of the biggest challenges that an average person faces in his/her lifetime. Whether it is a small, medium or large sized home, there may hardly be any task more hectic than getting it constructed according to personalized needs. Whether you are a businessperson or you belong to the working class, constructing your home is not that easy. This is the reason majority of the people acquire the services of a reputable home construction company in Pakistan such as AmerAdnan. This gets them rid from all the hassle involved in home construction as well as interior decoration. To make this process easier for you here some useful tips for a hassle-free house construction in Pakistan. If you already have a plot for home construction, it’s great, otherwise you’ll have to do a comprehensive survey of different residential societies and figure out the one that best matches your requirements. Make sure to invest your hard-earned money on a land that is good for the future. The residential areas that are in proximity to the main boulevards are more valuable and offer more scope than those which are far from the main roads. Some people make a big mistake of copying other houses to save the architect’s fee, but they often end up spending more and worst of all is they get an unpractical design and a legal notice to deal with. The architecture companies in Pakistan not only design your home while keeping your requirements in view, but also ensure you do not have to face any legal issues after construction. So before you start constructing a home, make sure to hire the services of a professional and well-known architect. Intelligent homeowners when building homes do not only think about their current lifestyle, they also plan for a few years down the road. This involves keeping in mind all the living requirements that would be essential for the future. Furthermore, they make sure that they do not overbuild, since maintaining a uselessly big house is really a tough to maintain. Once you are done with the architecture job, it is time for you to get into the real action by getting it constructed. An experienced local contractor would help you get all the labor from within your community that would save a great deal of money for you. 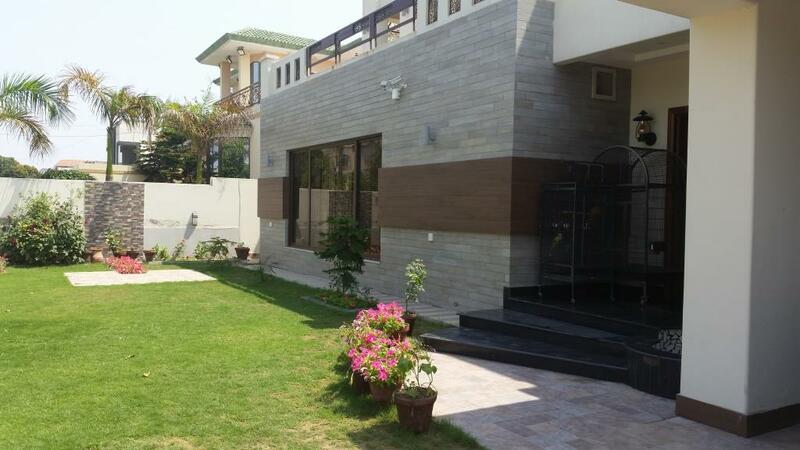 The leading construction companies in Pakistan like Amer Adnan Associates offer all-in-one home construction packages that include architecture, construction and interior designing at reasonable prices. While choosing a contractor, always make sure that you do not sign the deal with a construction company based solely on the bid; instead make sure to go for the reputation and endorsements of the contractor you choose.